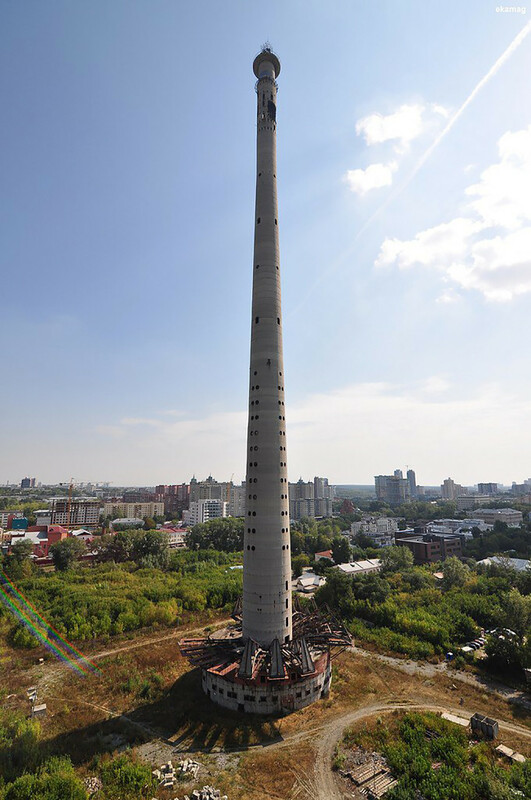 Why is a TV tower in the Urals famously called the Tower of Death? The unfinished TV tower in Yekaterinburg. The tragic and famous symbol of Yekaterinburg will be demolished for the World Cup. 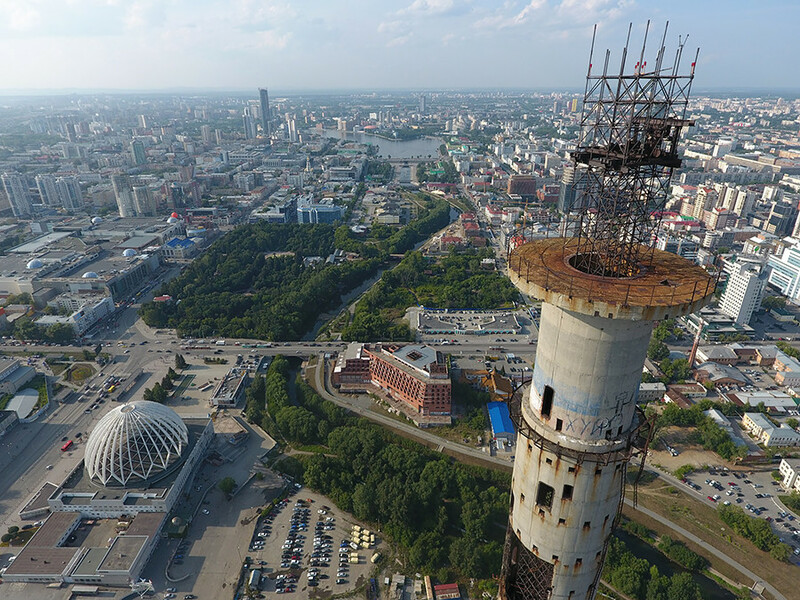 Construction of the TV tower in Yekaterinburg began in the early 1980s, but it has yet to transmit a signal. 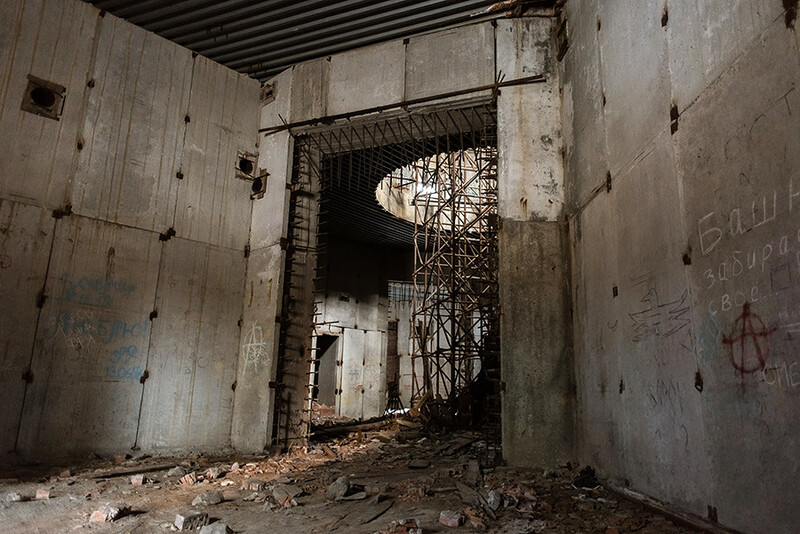 Still, it has been featured in numerous TV reports and dubbed the “tower of death.” The unfinished, 220-meter tall construction in the heart of the Urals got this nickname after a series of misfortunes and suicides that occurred after construction was suspended in 1991. The tower is a giant concrete flower with an observation deck on top and was designed based on similar towers in Tallinn, Vilnius and Baku. 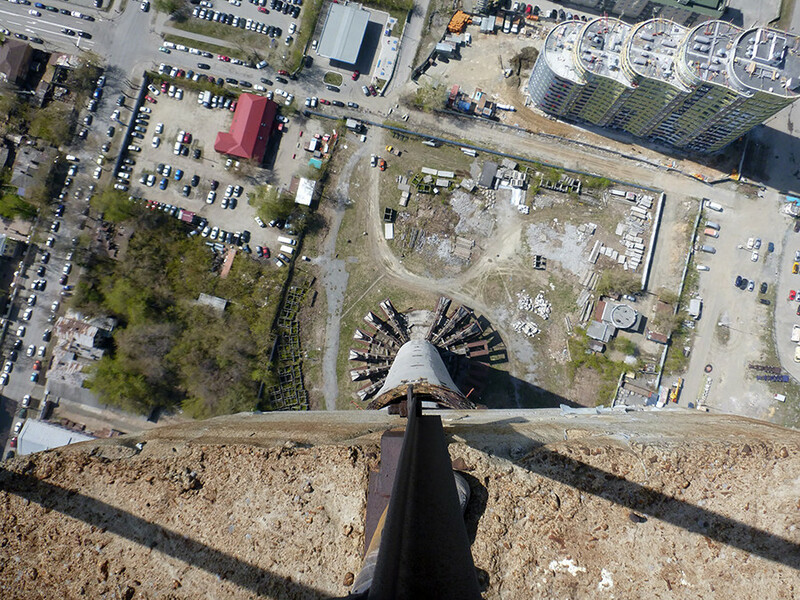 But while visitors in these cities can take an elevator to the top floor and drink a cup of coffee in a restaurant offering panoramic views, the tower in Yekaterinburg has walls with graffiti that reads, “the tower has taken its toll.” You will also find an abandoned elevator shaft and rusty armature used by extreme athletes who, without insurance or special equipment, climb to the top en masse. However, according to these “mountain climbers,” the most impressive climb is on the tower’s external fire escape. It is there that you immediately feel the heights. The TV tower is located almost in the center of the city. The Iset River and the local circus are close by. While walking around town, people would sometimes get the crazy idea of climbing the tower. One such person is 32-year-old Ekaterina Degtyareva, who tried to climb it for the first time one winter at the end of the 1990s. “Then we started climbing it on a regular basis. I took my friends, classmates, sister,” Ekaterina recalls. “All the free spirits gathered around, normal guys, just hanging out, hugging one another, reading books, drawing pictures in each other’s diaries and climbing up and down it. It was sort of a community. In the summer about 300 people could be found there. The get-togethers had their own heroes. 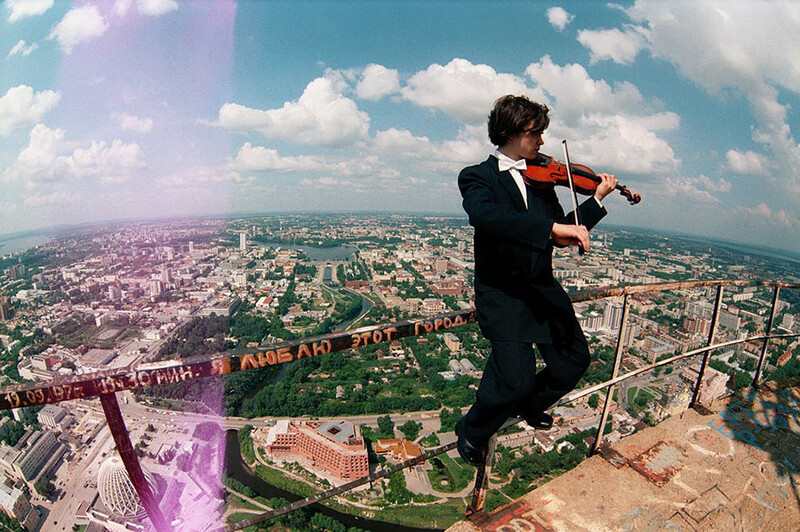 One of them, a medical student named Alexander Palyanov, climbed the tower in all kinds of weather, night and day, blindfolded and with his hands and feet tied. People say he even tied a weight to his legs and liked to lift weights on the fire escape at the very top. 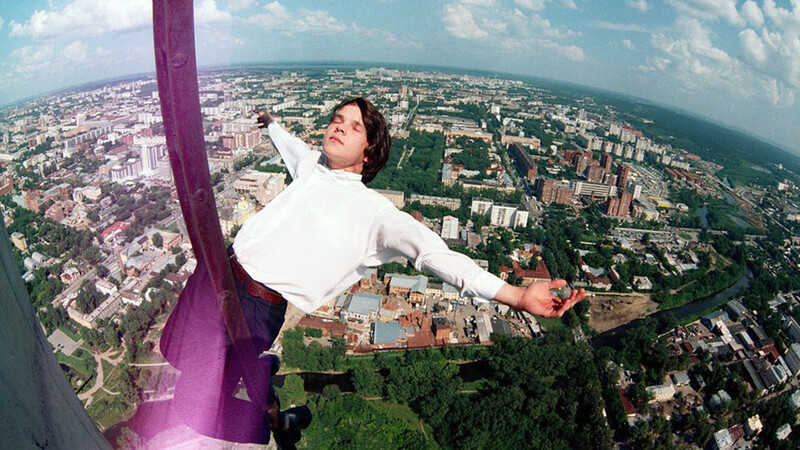 Then in October 1998, he climbed to the observation deck just like usual and accidentally stepped into one of the technical openings in the dark. 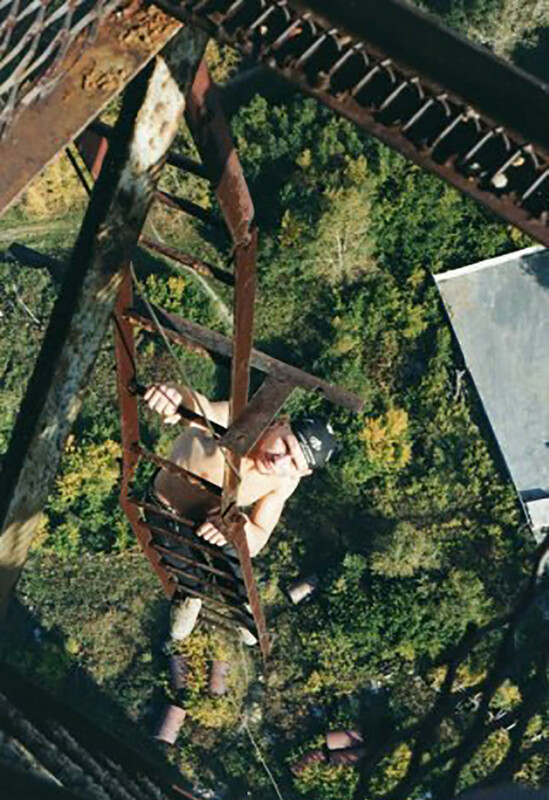 Palyanov is the tower’s most famous victim. In honor of his memory, locals installed a sign that reads: “The Tower of Alexander Palyanov. He conquered it, and it took him away forever.” A film was shot about how they lifted out the sack with his remains. It was later shown on local television and in 1999 won the TEFI—Russia’s most prestigious TV award—as a special project about the tower. The TV news at the time showed dismembered human arms, legs, bodies hanging from broken necks from the armature and other tragic details. There are many “scarecrows” warning about the tower on the internet. They show so many details that it becomes difficult to tell what is true and what is false. 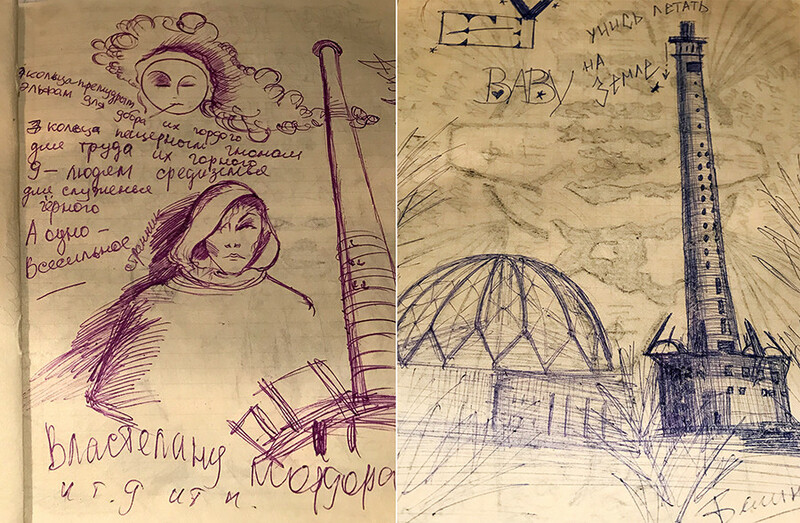 One of the last officially confirmed incidents occurred on May 9, 2000, when three young women climbed the tower to watch the Victory Day fireworks. One of them fell off the fire escape, pulling the other two down with her. The first woman, Tanya, died, but her friends got away with spinal fractures. Today, judging by social media, they have recovered and lead normal lives. They do not respond to questions about the tower, and neither do the victims’ relatives. Not everyone wants to revisit these tragic events. After that episode, the tower’s entrances were closed off and guard posts with dogs were put up around it. But despite these measures, there are groups on social networks in which young people explain how to get inside the tower and make plans to go there together. The guards say that each day in the summer of 2017 they caught around four extreme sports fans from throughout various regions of Russia. This will be the tower’s last winter. On the eve of the World Cup the authorities have decided to demolish the unfinished construction and replace it with an ice arena. This whole time, since the 1990s, the tower has not had an owner. In the 2000s, there was an investor who expressed interested in finishing construction, but the financial crisis thwarted his plans. In 2013, the authorities held a competition for reconstruction projects. The proposals included building a lighthouse, a church and even a civil registration office. But once again, a lack of money prevented any of these from being realized. 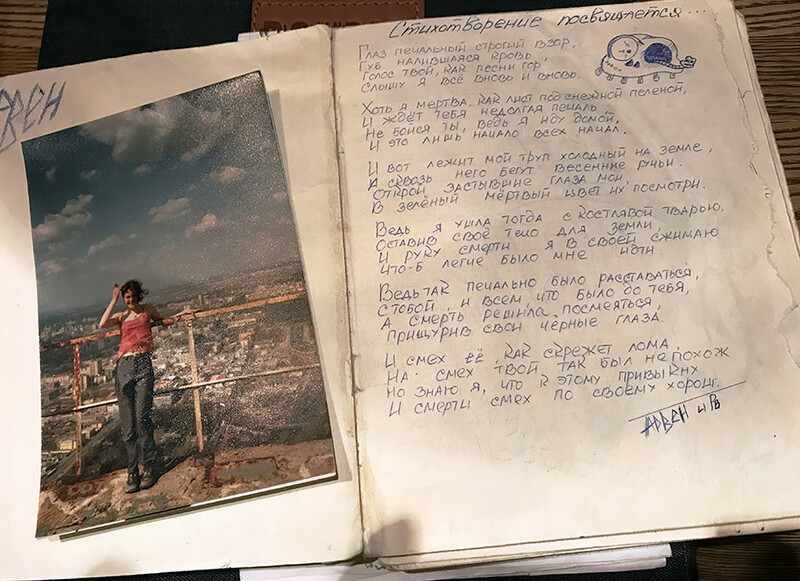 The decision to demolish the tower has divided Yekaterinburg residents into those who think it is the symbol of the city and those who regard it as dangerous. When speaking about the future of the TV tower, even Ekaterina Degtyareva, who has climbed it over 30 times, becomes superstitious. In this sense, the plan to demolish the tower might finally put an end to romantic legends about conquering its heights and, in the process, save some lives.